Dr. OLUFEMI A. ALADEJEBI, FCA, FCTI. Dr. Olufemi Aladejebi qualified as a Chartered Accountant in 1991. He is also a member of Chartered Institute of Taxation since 1997. He holds B.Sc (Hons.) degree in Accounting, from Obafemi Awolowo University, Ile-Ife and Masters in Business Administration and Finance from University of Ado Ekiti and Lagos respectively. In 2017, he obtained a Doctoral Degree in Business Administration in Entrepreneurship from Walden University, USA. He has twenty seven years working experience. He trained with Ernst & Young (Oshindero Oni & Lasebikan) and also with Toluleke Oluwole & Co. He is the Managing Partner of the Firm and Managing Consultant of Great Consulting. While under articleship he was always involved in planning, coordinating, review and finalization of audit and consultancy jobs of various companies in different Sectors of the Economy (Financial, Oil, Aviation, Trading, Manufacturing Sectors etc). Dr. Aladejebi has undergone training both locally and overseas. He is very versatile in Computer Audit. He is a resource person and has presented seminar papers at various non-governmental organizations and Chartered Institute of Bankers of Nigeria (CIBN) among others. He is also a Consultant to Enterprise Development Scheme (EDS) a Unit of Lagos business School. He has held key positions such as Chief Inspector of Prudent Merchant Bank Plc (as it was then known) and Access Bank Nigeria Plc. Mr. Oluwakemi Sulaiman, holds Bachelor of Science Degree in Accounting from the University of Ife (now Obafemi Awolowo University) Ile-Ife, a Chartered Accountant, and Fellow of the Institute of Chartered Accountants of Nigeria. He obtained his Masters in Business Administration (MBA), specialized in General Management, from the Center for Management Development- University of Nigeria, Nsukka. Mr. ‘Kemi Sulaiman trained with Akintola Williams & Delloites and had a brief stint with Lafa Industries, a manufacturing outfit, before joining the Banking industry in 1989. He has over 28 years post qualification working experience including 13 years Merchant and Commercial banking experience and worked in various departments of the First Interstate Bank Plc, but largely as the Financial Controller of the Bank. Mr. Sulaiman was in private practice as financial and management consultant between November 2002 and June 2007, during which he was finance and logistics consultant to BASICS II, a USAID project between 2002 and 2005. Kemi joined Susu Microfinance Bank in June 2007 as Financial Controller and became General Manager Operations in November 2010 and later General Manager, Finance and strategy the position he held till July 2015 before he resigned his appointment to start his Financial Services consulting, with a focus on emerging markets, specialising in micro and small entrepreneurial development. Core competence includes Business and financial advisory services, Auditing and MIS development, Tax management and administration. Mr Alaba Opesanya is a graduate of accountancy and qualified as a Chartered Account in 1993 He became a Fellow of the Institute of Chartered Accountants of Nigeria in 2003. He was the Financial Controller of Carids Consultants Nigeria Limited, a Construction and Civil Engineering company in Benin City, Edo State from where he joined Access Bank in 1993. He left Access Bank and joined Universal Trust Bank Plc as the Financial Controller of the bank up to July 2004 . Alaba is a Chartered Accountant with diverse experience in auditing, management consulting and accounting systems design. He is a consultant to International Organizations such as African Project Development Facility (APDF), a member of the World Bank Group. Ayo Damola was educated at Temple University, Philadelphia in United States of America where she got her degree in Business Administration with a major bias in Marketing and Marketing Research. She worked briefly in the U.S as a Market Research Assistant working extensively on the small business in the city of Philadelphia to determine their viability. This experience was a driving force in her determination to become an entrepreneur. Before going into private practice, she worked briefly as a Commercial Coordinator in a Scientific Products Retailing Businesses and as a General Manager for a Medical Clinic. She had, as an entrepreneur, successfully published a Shopping Magazine, and established a private lending Library. She is currently the Managing Director / CEO of Denfol Nigeria Limited – manufacturers of Promotional Bags & Footwear under the D – Dee Products & Cool steps Labels. She is also the Principal Consultant of DFD Assist (a staff recruitment Agency) primarily for SMEs. In pursuit of Excellence in business, she had attended several developmental courses and workshops at the Lagos Business School; she is also a member of the Enterprise Development Services (EDS) as well as a MENTOR for upcoming entrepreneurs at the FATE FOUNDATION. She has used her over 15 years of managing private business especially in the area of marketing products to put the D- Dee Products in the limelight. Peter has had a rich career in Auditing, Taxation and Management Consulting from reputable firms of Chartered Accountants and Management Consultants such as Mosunmola Alabi & Co, Olu Aladejebi & Co, Great Consulting and a stint with Adetunji Adelegan & Co. He has extensive experience in Taxation and tax advisory services and has been involved in several and varied job assignments such as Auditing, tax consulting and advisory services, Management Consulting, recruitment and manpower development, business plans and feasibility study report writing, Marketing research and Product acceptability Surveys and due diligence. His experience and exposure cut across several sectors of the economy such as manufacturing, Trading, Agriculture, Hotel and hospitality industry, Education, Shipping and Transport. Ayobami A. Lawal is a graduate of Computer Science with Economics from Lead City University. He has Post Graduate Diploma in Customer Relationship Management and also has Advanced Diploma in Air Transport Studies. Ayobami is a CISCO Certified Professional and Certified Professional in Customer Relations Management. Ayobami has over five (5) years experience of network systems, system architecture and design, Software Development and Project & Service Management. He has wider experience in Telecoms, Information Technology, database administration, Travel and Tours, Recruitment and Human Resources. Ayobami is a Management Information Systems Analyst both SMEs and Public organizations. He is also an Educational Researcher at Post Graduate level. 1. Setting good daily habits. 3. Engaging in self-improvement daily. 4. Regularly taking care of personal health. 5. Often making time for relationship building. 6. Doing things in moderation. 8. Keeping a positive outlook. 14. Doing more than what’s required. 15. Talking less and listening more. 17. Spending time with like-minded ones. 20. Not giving fear the upper hand. Being successful often means learning from those who have already achieved their goals. Having a mentor is an amazing blessing to an entrepreneur, but not everyone can find one in person. If you haven’t yet found your personal business guru, here are 21 tips for young or aspiring entrepreneur to help get you started. Richard Branson says his biggest motivation is to keep challenging himself. He treats life like one long university education, where he can learn more every day. You can too! 2. Do work you care about. There’s no doubt that running a business take a lot of time. Steve Jobs noted that the only way to be satisfied in your life is to do work that you truly believe in. We never know the outcome of our efforts unless we actually do it. Jeff Bezos said it helped to know that he wouldn’t regret failure, but he would regret not trying. As Henry Ford famously said, “Whether you think you can, or think you can’t, you’re right.” Believe that you can succeed, and you’ll find ways through different obstacles. If you don’t, you’ll just find excuses. The founder and CEO of Tumblr, David Karp, notes that an entrepreneur is someone who has a vision for something and a desire to create it. Keep your vision clear at all times. Who you’re with is who you become. Reid Hoffman, co-founder of LinkedIn, noted that the fastest way to change yourself is to hang out with people who are already the way you want to be. Overcoming fear isn’t easy, but it must be done. Arianna Huffington once said that she found fearlessness was like a muscle -- the more she exercised it, the stronger it became. The world is full of great ideas, but success only comes through action. Walt Disney once said that the easiest way to get started is to quit talking and start doing. That’s true for your success as well. No one succeeds immediately, and everyone was once a beginner. As Steve Jobs wisely noted, “if you look closely, most overnight successes took a long time.” Don’t be afraid to invest time in your company. 10. Manage energy, not time. Your energy limits what you can do with your time, so manage it wisely. 11. Build a great team. No one succeeds in business alone, and those who try will lose to a great team every time. Build your own great team to bolster your success. As you build your team, hire for character and values. You can always train someone on skills, but you can’t make someone’s values fit your company after the fact. 13. Plan for raising capital. Ryan Allis, co-founder of iContact, pointed out that having the end in mind every day ensures you’re working toward it. Set goals and remind yourself of them each day. 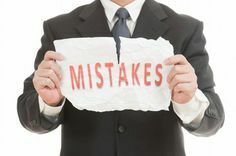 Many entrepreneurs point to mistakes as being their best teacher. When you learn from your mistakes, you move closer to success -- even though you initially failed. Dave Thomas, the founder of Wendy’s, cited knowing your customer as one of his three keys to success. Know those you serve better than anyone else, and you’ll be able to deliver the solutions they need. Bill Gates once said that your most unhappy customers are your greatest source of learning. Let unhappy customers teach you where the holes in your service are. 18. Ask for customers’ input. Assuming what customers want or need will never lead to success. You must ask them directly, and then carefully listen to what they say. When you spend money on your business, be careful to spend it wisely. It’s easy to spend too much on foolish things and run out of capital too soon. Tony Hsieh, the founder of Zappos, once said, “Don’t play games you don’t understand, even if you see lots of other people making money from them.” Truly understanding your industry is key to having success. 21. Deliver more than expected. Google's Larry Page encourages entrepreneurs to deliver more than customers expect. It’s a great way to get noticed in your industry and build a loyal following of advocates. Being a successful entrepreneur takes a lot of work, a lot of vision and a lot of perseverance. These 21 tips, from entrepreneurs who have already found success, will help you navigate the path much more easily. Do you wake up every day feeling accomplished, confident and great about yourself? Or do you find yourself doubting your abilities? If so, you aren’t alone, many of us can struggle with low confidence at points of our lives. Self-confident people are usually comfortable in their own skin, they believe in their abilities, feel secure with who they are and are able to confidently go after what they want. If you’ve ever struggled with low confidence below are 10 ways you can instantly inject more confidence into your routine. Setting goals gives you direction and purpose. Not having a purpose can cause you to feel lost and drifting through life without feeling like you have anything to look forward to. When you are clear on your intentions and make a plan to take steps towards achieving them you automatically move into a space of meaning and feel motivated to take action which can boost your confidence and sense of self. What goal would you like to achieve within the next 3 months? Whatever your goal is, learn everything you need to know to assist you with your progress. If you want to be more successful in your career, maybe you can invest your time in learning relevant skills or industry news to enhance your knowledge, if you are delivering a presentation maybe you can practise going over it a few times around close friends or family who can give you feedback, if you are planning on running a marathon maybe you can dedicate time to running everyday up until the marathon date to help you prepare. When you feel prepared and have the required knowledge it can help your self-confidence to soar. Spending a lot of your time around people who are miserable, grumpy or negative can dampen your spirit. When you make a conscious effort to spend more time around people who are positive, who look on the brighter side of life and are supportive it rubs off on you too, helping you to view life with an optimistic lens. Make a list of hobbies or topics that you are interested in and research local classes or meetups that are available so you can invest your time into being around like-minded people. If you don’t feel like you are looking your best, give yourself a mini makeover. Go the extra mile by styling your hair, giving yourself a clean shave or dressing in clothes that are flattering. When you look the part, you feel better about yourself too and this shines outwards. Maybe you can buy yourself a new outfit, book yourself in for a haircut or pamper yourself at home all of which are ways to help you feel good from the inside out. How often do you walk around with slouched shoulders or avoiding eye contact? When you adjust your body language you automatically shift your state. Pulling back your shoulders, making eye contact with others and smiling at strangers not only makes you feel better it also allows others to feel more comfortable around you, putting your best foot forward not only projects a more confident you it also makes you feel more empowered. You are the only one who has your body, mind and soul. The dreams you own are uniquely yours and there are special qualities which only reside in you, if you spend your time comparing yourself to everyone else you may find it difficult to focus on your individual strengths. Instead of focusing on what you ‘aren’t’ shift your focus to what you are. Write a list of 10 things you love about yourself, what do others compliment you on? Keep this list to hand and read it daily to re-affirm them to yourself so you can make your special-ness grow! Write a list of everything that you have ever accomplished no matter how small. So often many of us can forget to acknowledge ourselves for all of the things we have achieved. Whether it was having the courage to step outside of your comfort zone, passing a test, successfully learning a new skill or committing to taking action to better yourself, whatever it is give yourself a pat on the back and celebrate all of the wonderful things you have achieved. Keep the list somewhere you can see it and in any moments of self-doubt review your list and remind yourself that you’re more capable than you may think! It has been scientifically proven that a cluttered and disorganised environment can restrict your ability to focus and limits your brains ability to process information, not only does it muddle your thoughts but it can also impact your mood. Choosing to surround yourself with beautiful objects, calm and cleanliness can boost your level of self-appreciation and leave you with a clear mind! Sometimes we can take life too seriously and may forget to stop, take a break and lighten up. If you have been working like there’s no tomorrow remember to take some time for you. Set some time aside to prepare healthy nutritious meals to boost your energy, to exercise so you can loosen any cramped muscles, to spend quality time with loved ones, to treat yourself to a spa day or even have a duvet day watching movies. When you set aside time to replenish your energy you’re able to show up as the best version of yourself for others too. How often do you stop to thank and appreciate all of the great people or things in your life? Keeping a gratitude journal near your bed or as a notes folder on your phone and writing down 5 things you are grateful for each day instantly boosts your mood and directs your mind to all of the great experiences you DO have in your life! You could also take your thankfulness a step further by thanking others. Maybe you could call someone or send them a note to acknowledge them for their good deed, generosity or kindness? Sharing the love may inject some positivity into their lives too! Confidence is a mind-set and just like any other skill with a bit of practise it can be mastered, by applying the above to your daily routine, you give yourself a head start. 1. Plan for the long term. In a competitive market, the temptation to prioritize short-term goals is difficult to ignore. Your clients and customers expect you to deliver great products and services in a timely manner. You also have a fiduciary responsibility to your company, partners and investors. But if you focus only on the short term, your business may not reach its full potential. Instead, set aside time at least once or twice a year to plan for the future. Routinely monitor your progress on achieving long-term goals. 2. Communicate quickly and effectively. Respond to emails, phone calls and other requests immediately. The amount of time you take to respond could make the difference between gaining or losing a sale. Furthermore, when you respond quickly to clients, customers and employees, you develop a reputation for reliability. In your workplace, timely and effective communication will create a culture of focused efficiency. Entrepreneurs often face hard decisions about resource allocation. Pay close attention to your company's monthly expenses to avoid excessive or unneeded costs. Always consider the return on an investment when you evaluate the best ways to spend company funds. Ask yourself, How long will it take me to recoup my investment? Also consider, Will this investment help me achieve the goals of my business?” If you can’t answer these questions, don’t spend the money. 4. Set a daily routine. Although every day will be slightly different, create a rundown of what your ideal daily schedule should include. Every morning, before you check email, determine the three most important tasks to complete for the day. Prioritize crucial tasks over those that are less urgent. This approach will keep you focused throughout the day and help you avoid time-consuming distractions. 5. Meet challenges with enthusiasm. I will always remember my mother saying, “Do your very best.” She must have known that if I perform my highest ability, everything else will fall into place. It’s important to meet every new challenge head-on. Apply the same level of passion and zeal that you felt when you first started your business to every difficult situation. If you give each new challenge your best effort, you’ll experience positive outcomes more often than not. Every morning, consume the daily news from newspapers, industry blogs or magazines. Not only will this help you stay informed, it will give you plenty of material for casual conversation with colleagues and small talk before meetings. In the evening, unwind and relax with a good book. Readers are leaders. You might learn something that will provide you proven tools and strategies to apply in your own business. The right connections can bring your business new opportunities. Most professionals prefer to do business with entrepreneurs they know, like and trust. Make it a priority to grow your network and build long-lasting professional relationships. Don’t limit yourself to just attending networking events. Join professional organizations and associations or volunteer to serve on the board of a local charity. Make innovation the center of your business. Encourage team members and colleagues to experiment with new ideas and fresh approaches to business. Entrepreneurs who take risks often accomplish extraordinary things because their methods are creative and unexpected. Push outside your comfort zone and approach the risk of failure with a positive attitude. If you want to be productive, start by taking care of yourself. Receive at least seven hours of sleep to ensure that you'll wake up refreshed and ready for the day ahead. Don’t forget to make exercise part of your weekly routine. You’ll feel more energetic, focused and be better equipped to manage stress. Make time to play and have fun. Striking a balance between work and life isn’t as hard as you might think. You just need to identify and integrate into your weekly mix a few activities that really matter to you. Play brings satisfaction and joy to the heart. And when you feel more satisfied and happy, you're kinder to yourself and to others at work. Read your vision aloud every morning and evening, focusing completely on the end result -- your vibrant, flourishing business. By keeping your focus on the result, you will be able to make the day-to-day choices to ignore any negative thoughts that may arise. 1. Spare time. This one can take some time. Initially you’ll work longer hours for less pay. But if you do it right, you could start to master your schedule and the freedom that being an entrepreneur provides is awesome. 3. Tax benefits. For entrepreneurs (freelancers included), they have the opportunity to take advantage of some nice tax perks. Many can write off expenses like travel, food, phone bills, portions of car payments, and the list goes on. Also, certain startups qualify for government incentives. Make sure to ask your accountant about what tax benefits you may be eligible for. 4. Pride. When you build something successful, it’s a great feeling. You had a vision, were able to execute it and not can reap the benefits of saying "I did this." On the other hand, it’s tough to be proud of the zillionth request for proposal you fill out for your employer. 5. Your posterity. If you’re a doctor, plumber or bus driver it’s hard to imagine you passing your career on to your loved ones. But if you own your own business, that’s something you can pass on to the next generation. And be proud of it, because you created it. 6. Job security. Have you ever been laid off, downsized, or fired? If you have, you get this. With entrepreneurship the security lies in the fact you are your own boss. You run the show and don't have to worry about getting let go. 7. Networking. Entrepreneurs are communal creatures. We love to meet each other, swap stories, and learn from each other’s experiences. Your circle of friends and acquaintances always grows when you become an entrepreneur, as many founders need others to lean on to survive and talk about the challenges only known to them. 8. Doing good. While this isn’t exclusive to entrepreneurs, it’s definitely a perk. You control where your company profits go and if you choose, you can give allocate your financial gains to others. You can sponsor a charity, a non-profit or just personally give back to the community. This is quite honestly one of the best parts of being an entrepreneur. 9. Novelty. We, as humans, love new experiences but rarely can you experience a host of new things from inside your cubicle. This all changes when you are running the show. Starting your own business will ensure you’ll always be facing new challenge and experiencing something new. 10. Mentorship. Having had mentors and getting to be a mentor have been some of the best experiences of my life. Learning from the masters and getting to help those less experienced than you gives you such a sense of satisfaction. From my experience (and other's stories) the entrepreneurial community is very willing to give back and lend a helping hand. 11. Becoming an expert. This point goes along with mentorship. Regardless of what you do as an entrepreneur, if you stick with it, you’ll probably become very good at it. And this gives you a sort of soapbox, so use it. You'll have the chance to be interviewed for your expertise, write about it and get to spread your message. 12. Skills. People ask me how I learned about SEO, social media, pay-per-click, PR and all the other marketing techniques I utilize. I tell them that I was forced to learn them, otherwise I wouldn't survive. The same way I was forced to learn how to build a spreadsheet, how to balance a budget, how to negotiate leases and countless other skills I picked up because I was the only resource I had. While developing new skills can be tough and takes times, it can pay off in spades. These skills will be invaluable throughout your life. 13. Determination. Everything I’ve done as an entrepreneur has affected me in my personal life. I used to be poor at committing to changes. But having been an entrepreneur for over a decade has forced me to become dedicated and determined to causes. (Now I can stick to an exercise plan much easier.) I’m also better at being a father and husband because of that determination I learned. 14. Recognition. There are literally thousands of local, regional and national awards that recognize entrepreneurs in every field and industry. This shouldn’t be your only reason to start your business, but it certainly is a great feeling when you receive this recognition. 15. Financial independence. Let’s be honest, this is probably the biggest reason people get into business for themselves. And that’s a good thing! You should want financial independence. However you define financial independence – retirement stockpile, unlimited cash potential or having the money to buy what you want -- entrepreneurship can allow you to achieve it. Trust me, money doesn’t buy happiness, but it does make finding happiness much easier. 16. Reinvention. I’ve started and sold several companies over my career. And every time I sell a company, I’m presented with an opportunity to reinvent myself all over again. On the flip side, if I had received my law degree, I’d be a lawyer (not a lot of room to recreate myself). But as an entrepreneur, I get to be whatever I want to be. 17. Change the world. Everyone jokes that every entrepreneur says they’re going to change the world. It’s difficult to imagine how a cell phone accessory kiosk in the mall is going to change the world. But there are those that do succeed. Take a look at Elon Musk, Bill Gates, Sergey Brin, and the countless other entrepreneurs who really have changed the world in some small (or major) way. 18. Create jobs. There’s nothing like the satisfaction of knowing you’re responsible for the success of your employees. Your ideas provided them the opportunity to earn a living, provide for their family and fulfill their own dreams. 19. Your brand. Being known for something is awfully enjoyable. People may start referring to you as the marketing guy, or the retail maven or the software guru. Whatever it is you’re recognized as, it’s fun to build that brand and earn that recognition. 20. Your reason. I’ve given you a list of why I think you should get into business. But all that really matters is your reason to start your own business. So, what is it? Tweet out this story and add your reason. Comment below and share with us why you did it. I know it will be a good one. Entrepreneurship is treacherous ground. You’ll face great risks, from the inception of your company through the growth stage, and even as you stabilize and gain momentum. If you’re going to be successful as a business owner, you need to be prepared for those risks, and address your fears proactively. Capital is one of the biggest concerns most entrepreneurs have, and with good reason. Starting a business requires a lot of money, which usually comes directly from the entrepreneur’s savings, or the pockets of independent investors. If you can’t secure a reliable revenue stream by the time that initial startup capital runs out, the business -- and all that money -- is in jeopardy of being lost for good. Disappointing investors is one thing, but losing your life savings is another. If personal investment loss is what’s keeping you from moving forward, consider other means of funding. Use crowd funding to collect small amounts from thousands of people, or seek business grants from the government to help get you started. Most of all, you need to have faith in your business model -- if you don’t, then you shouldn’t go into business. Whether you’re worried that you aren’t good enough as an entrepreneur or that your product isn’t good enough to be competitive, the fear of not being good enough can be debilitating for new entrepreneurs. Remember a simple concept that applies to all businesses: launching with a minimum viable product. Your product doesn’t have to be perfect when it first launches, and it doesn’t have to be the best. It just has to be acceptable. From there, you’ll have plenty of room to make improvements to it over time. No product ever starts out perfect -- some of the greatest businesses in the world probably started with a product of a similar quality to yours. As an entrepreneur, you too can be a minimum viable product. You don’t have to make all the right decisions, and you don’t need to be a perfect leader. You just have to be passable until you have the time and experience to improve yourself. The fear of failure gets the better of all of us occasionally. There are small failures -- such as a botched email-marketing campaign or a major bug you discover post launch, and massive failures -- such as your company going under. Failure will set you back no matter what, but you can’t let the fear of failure stop you from making a decision. Failure is only the end of the road if you let it be. Otherwise, it’s just a temporary stopping point in a long path to a final destination. More important, failures are learning opportunities. Every failure you experience yields a lesson you can incorporate into your business or your life. The entrepreneurial life isn’t chosen because it’s easy. It’s chosen because it’s a challenge with many rewards along the way. If you’re getting into entrepreneurship because it seems like an easy way to get rich quick, someone has lied to you. Entrepreneurship is riddled with obstacles, stress and hard work. But the flip side of entrepreneurship is control. Yes, you will inevitably feel overwhelmed at times, but it’s all completely within your power to change. If you’re dealing with too many financial problems, you can hire a financial advisor. If you aren’t getting the results you want out of your developer, you can let him/her go and seek new help. You will experience a greater workload than you’ve ever faced before, but remember that you’ll be in full control of your own destiny. The unknown is indescribable and impossible to prepare for. When you first get started with a business plan, a bit of money and maybe a partner or a mentor by your side, you’ll have no idea what to expect in your first year. For many, it’s a thrilling thought, but it’s also terrifying. Entrepreneurship isn’t a job. It becomes a lifestyle. You’re choosing to be in this role because you’re a risk-taker, you’re passionate, you work hard and you believe in your idea. Those four qualities are more than enough to conquer any obstacle that gets in your way -- even the unknown ones. So put those fears to rest and believe in yourself. Set goals to achieve your dreams. Believe that you can achieve anything. Do You Prefer We Call You? We will be glad if you can refer us to a couple of your friends or family who may need our services. Thank you.